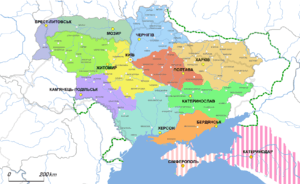 Chernihiv Governorate (Ukrainian: Чернігівська губернія) was one of administrative territorial subdivision of Ukraine in 1918–1925. It was inherited from the Russian system of territorial subdivisions that existed prior to the World War I. The governorate consisted of 18 counties (povits). 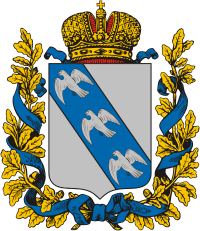 Chernihiv Governorate. Encyclopedia of Ukraine. This article is issued from Wikipedia - version of the 1/30/2015. The text is available under the Creative Commons Attribution/Share Alike but additional terms may apply for the media files.